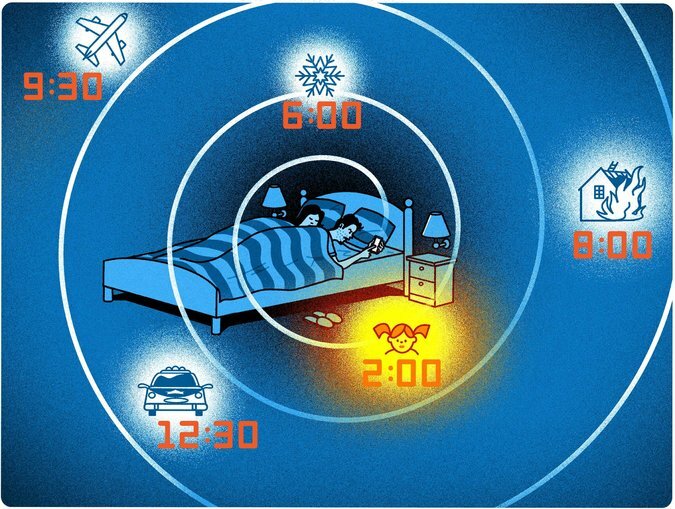 …Call me a selfish misanthrope who takes his sleep and peace of mind too seriously, but I could live with fewer of the alarms and alerts that keep coming at me these days… As may be expected, public response to Amber Alerts since the latest system was put in place a few years ago has been mixed. To the system’s credit, there have been cases when cars with endangered children have been found. But even Marc Klaas, whose daughter Polly was kidnapped and later found dead, a tragedy that helped fuel the understandable hyper-vigilance of today, was an unlikely critic of the Amber Alert system that California rolled out in 2013. He told CNN that he believed it had great potential, but that he feared residents too far away to be helpful might be put off by the noise and opt out of the program. That’s what happened here in July, when an emergency weather alert roused households at 4:19 a.m. from northeastern New Jersey to the five boroughs and southern Connecticut, involving flash floods that never occurred. Instead, it caused a flood of public and Twitter complaints.